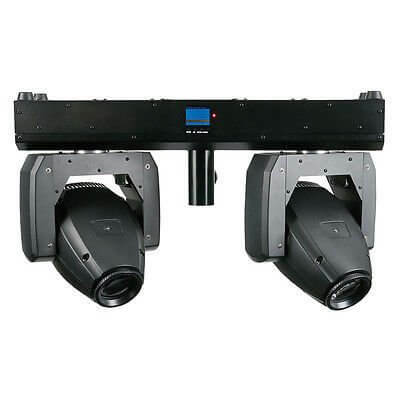 The XS-2 are two compact 10W LED moving heads on a T-bar. Both beam-angles is 4 degree which create two strong and tight beams. Both moving heads have 9 gobos and 7 dichros, a dimmer, a shutter function and a manual focus.